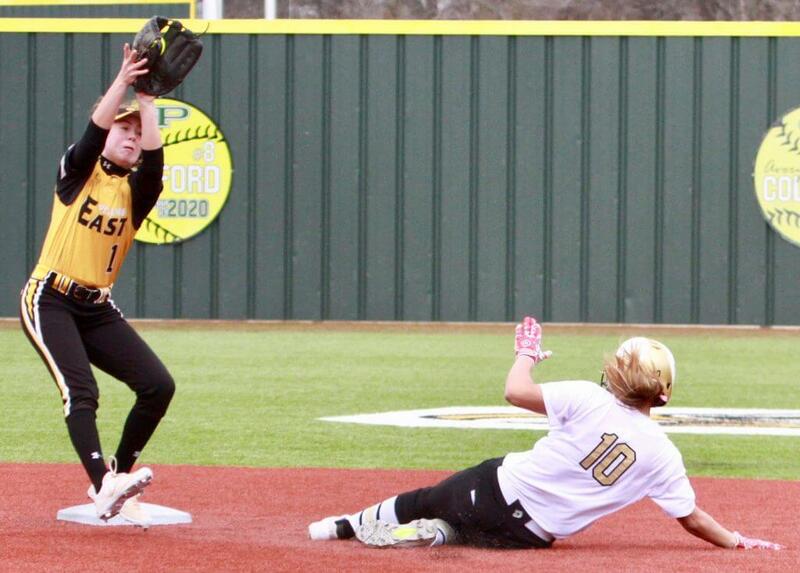 Jayda Coleman (#10) of The Colony, Texas was the Extra Inning Softball National Player of the Week last spring and earned 1st Team All-American honors for the second year in a row. Photo & video courtesy of Kevin Shelton. It wasn't that big of a surprise that Jayda Coleman, the outstanding middle infielder/outfielder from The Colony (Texas) High, was the #1 ranked player in the Class of 2020 as released recently in the Extra Inning Softball "Extra Elite 100." The Oklahoma commit is a standout player who shines on offense and defense and in a few years will be making Sooner Nation very happy. Said one Power 5 Conference coach, "Jayda is so good, she makes everything look effortless and is college-ready now." ... and in case you missed it, the Extra Elite 100 Top 10 Players write-up with our report on Jayda. Congratulations to Jayda, the Coleman family, Kevin Shelton and the Texas Glory organization and the Oklahoma Sooner softball program which is getting an outstanding player and person on and off the field!